When it comes to making investments, you usually get the best returns when you’re willing to take the bigger risks. If it was easy to make a lot of money without risk, or with very little risk, everyone would do it. Trading currencies works mostly like trading stocks, with the supply and demand being the one which dictates the prices. Just like it’s risky to invest in stocks, the same can be said about trading currencies and investing in them. The exchange rates can fall, but they can also plummet, and you can make money or lose money in a matter of minutes, since the exchange rates are constantly changing. If you’re unlucky or if you don’t know what you’re doing, the Forex market can quickly leave you a much poorer man than you were before. Forex hedging is something you can do to reduce the amount of risk during your Forex trading. Everyone knows that hedgins is a method one can use to minimize the amount of risk he’s taking. For the most part, hedging is known as being related to shares, but that concept can also be used for trading Forex. To put it as simple as possible hedging refers to the dividing of the risk. A good example is when you find a currency which you believe that will do extremely well in the future, but you’re not guaranteed that it will be a total success. Instead of placing all your money in that investment, you use some of your money on that high risk and high return currency and you place the rest of the investment on a currency which is low risk, which might not bring the same kind of results, but in case the high risk proposition goes wrong, the low risk one will help offset the loses. This is how Forex heding works, though there is no such thing as an investment with zero risks, not when the Forex market is so volatile. You can use a number of method for Forex hedging, including options, forwards, futures, swaps and foreign debt. When you’re looking to minimize just how much risk you’re taking in case a currency’s price will drop, you can get a forward agreement, with the currency’s holder. 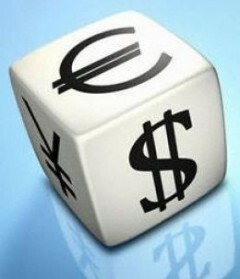 The seller and the buyer will agree that the currency will be traded at a certain rate, decided in advance. This way, the seller of the currency protects himself in case the price goes down a lot and the protection of the buyer is in case the currency increases a lot. Just like with a forward agreement, in a future the seller and the buyer agree to trade the currency at a certain price. While the forward is an agreement, the future is a transaction which is traded on the futures market. Once again, this is an agreement between the seller and the buyer, where in case the currency price goes down, the seller will get the agreement’s fixed price for it, so he doesn’t lose money. The option part is when the price increases, in which case he is able to sell the currency at the bigger exchange rate, so he can make a profit. If you’re looking to do some Forex hedging, a swap can be a low risk way to do it. With a swap contract, the buyer and the seller will exchange principal amounts which are equal, using the spot rate at that time. As time goes, they will exchange floating or fixed interest rate payments. When the contract’s period ends, the currency is re-swapped, at the rate which was predetermined, getting the original currency back. The foreign debt method can be used by companies which do exporting, to make sure they’re insulated from fluctuations in the foreign exchange. For example, if an exporter has a contract which says that he will get a certain amount of currency at some point in the future, he depends on the fluctuations of the exchange rate, since if that currency falls, he has a smaller profit. In a case like this, he will get a loan in that currency today and he will buy his own currency with it. When the payment is received, the loan is repaid.